Part of our journey will be to witness the environmental and human impact of oil production in the Delta, as well as the progress of NIDPRODEV and other groups in addressing these issues. We hope to bring back stories that could put pressure on the oil companies to voluntarily implement environmental controls and educate the public about the region. The Niger Delta is the seventh-largest oil producing region in the world and an increasingly major supplier to the United States – something many Americans don’t know. A number of international oil corporations are drilling there, with few if any environmental controls. The environment has suffered significantly, with unburied pipelines leaching oil into the soil, natural gas flares polluting the air around the clock, and oil fouling the once fish-rich waters. The local population has also suffered. Despite being the source of Nigeria’s wealth, this is the poorest region in the country. Wherever oil is discovered, the land is confiscated by the government with little, if any, compensation to the people, and the oil profits going to the central government. Poverty and environmental issues have created unrest in the region. Members of the majority Ijaw tribe, traditionally agrarian, now have great difficulty supporting themselves, as fishing has deteriorated. Tensions have arisen between the Ijaw and Itsekiri tribes because, as traders, the Itsekiri have more easily made the transition to working for the oil companies. Our Nigerian delegation will include men and women from the Ijaw and the Itsekiri, as well as Muslims from the North and a number of other tribes from around Nigeria. The story of the “creeks” area is not widely known even within Nigeria, so this project offers a powerful opportunity for national dialogue. Our host organization NIDPRODEV, led by acclaimed conflict mediator Joel Bisina, is helping to bring peace to this strife-torn region. In 2003-4, NIDPRODEV brought young leaders from both sides together, culminating in a truce. In addition, they provided leadership training to local women, who then led an oil-platform demonstration that successfully pressured the oil company and the government to bring more resources to the region. Read about the historic joint participation of Ijaw and Itsekiri at the Oporoza library ground breaking in our September 2005 newsletter. 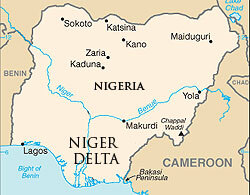 Learn more about Delta State in the Niger Delta at www.deltastate.gov.ng. 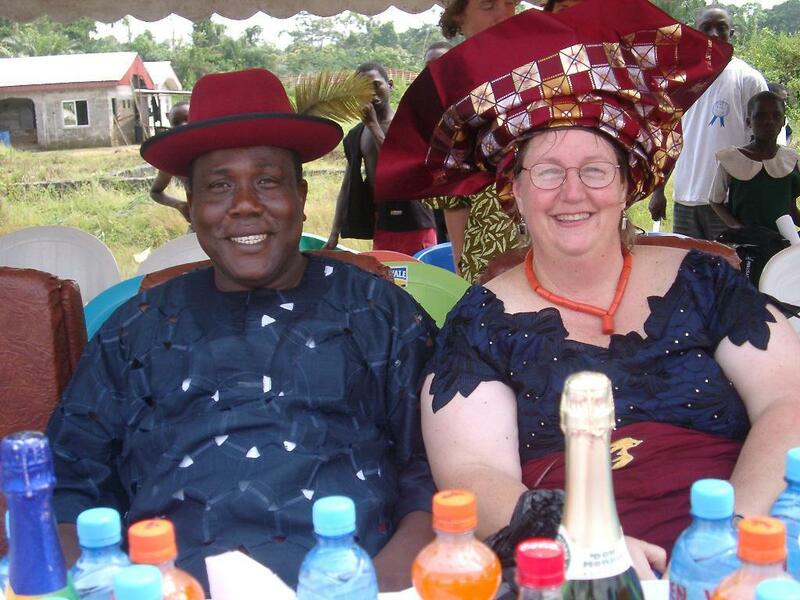 Learn more about Nigeria at CLPMag.org.